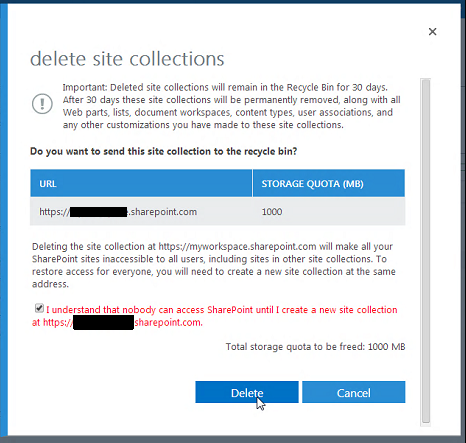 A question I frequently hear from clients when moving to Office 365 and SharePoint online, is how can I manage external sharing? Maybe an organization does not want to allow content to be shared with external users, or allow users direct access to documents without first having an account and logging in. 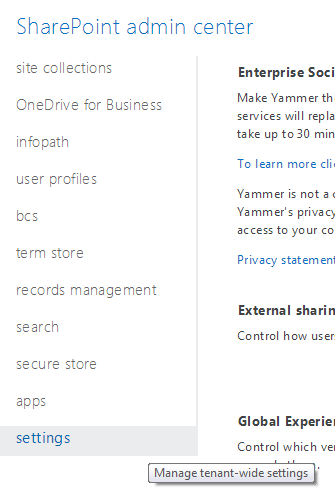 There are many different situations and requirements which may need to have the external sharing settings tweaked. And then once there (and currently it is the second header down on the right side of the screen), choose one of the options which firs your requirements. How Do I Upgrade My Trial Office 365 Subscription to a Subscription Plan? It is very cool, you get a 90 day trial for Office 365 to really test out the system and see what works, what doesn’t, and plan for your move to the service. 90 days, and you can even ask for extensions to make sure that this is the right solution for you. Not many services offer that even by a long shot. Microsoft wants you to make the right decision. And complete the process from there. HOWEVER….. make sure you have your licensing trued up first. If you have licensed all 250 trial users you can have, and you only need 30… that first bill is going to be awfully painful. Northeast Best of SharePoint Conference 2014! Wondering what to do tomorrow? 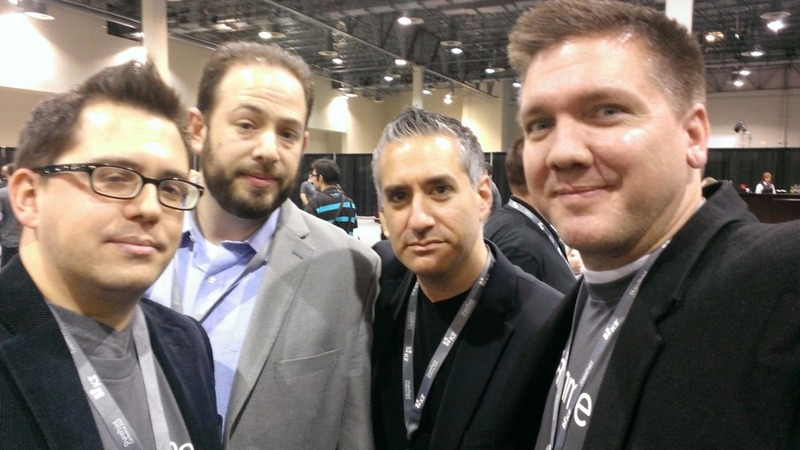 Miss out on the SharePoint Conference in Las Vegas at the beginning of the month? Then have no fear. Tomorrow, hosted at the One Cambridge Center Microsoft Office, will be an all day, free event, giving you the best sessions you missed, or want to see again from the Microsoft SharePoint Conference. Details and registration information is below! The Northeast SharePoint Community is presenting you with a local, free event that delivers SharePoint Conference content and presenters so you can learn what is new and exciting with SharePoint 2013! Presenting some of the most well-received session leaders of the SharePoint community, Best of SPC 2014 is your source for the news on SharePoint 2013 and the hot topics from Vegas. And don’t forget to join us afterwards for our SharePint at Champions just around the corner! Make sure you catch the Keynote from the Microsoft SharePoint Engineering team! You will hear how their team participated in the development of SharePoint 2013/Online and the product roadmap and vision going forward! Boston Office 365 Users Group coming in May! With Microsoft’s focus on Office 365, and it being the largest product in history for them (surpassing SharePoint on-premises licensing), a few great minds here in the Boston area started talking a few months ago, about creating an Office 365 users group (not just covering SharePoint Online, but Lync, Exchange, Yammer, and whatever else gets tossed out onto the buffet line that is Office 365!). Well, we have done just that, and are having our inaugural meeting on Thursday, May 22nd, at the Microsoft New England Research and Development Center (N.E.R.D.) from 6pm to 8pm. We will have Chris Bortlik, a Microsoft Office 365 Technology Specialist, kicking us off with his session “Introduction to Office 365”. See below for an abstract and bio for the session. 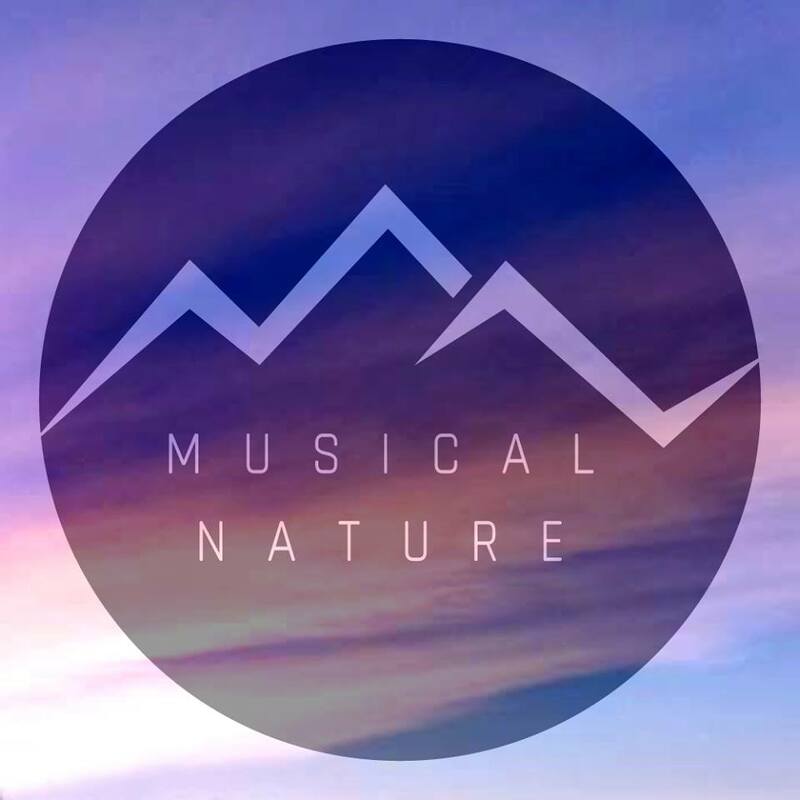 We will be having regular monthly meetings on the third Thursday of each month, so stay tuned for more as we build out our schedule of great speakers and topics going forward! Surprised by the #Oslo announcement? Can’t get over the Bill Clinton Keynote? 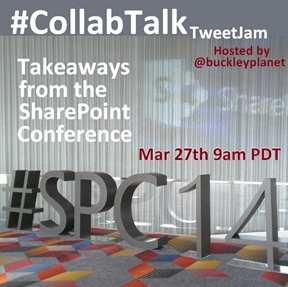 Join myself, @joeloleson, @ViewDoAmira, @nmoneypenny, @jshuey and more to debrief and discuss all of the highlights of SharePoint Conference 2014. This is an open chat to all!